"This phenomenally successful little 19ft weekender is cruised and raced as a class in several countries. Her success is down to good looks, genuine trail-ability, an easily managed rig, usable two-berth accommodation and a generous application of the fun factor. She has a big, open cockpit and a secure anchor well in the foredeck, and contains enough foam buoyancy to be unsinkable." The Cornish Shrimper 19 is Crabbers most popular model with classic styling that appeals to sailors from any generation and a build quality that has led to her reputation as the best British production Gaffer of all time. They have built over 1100 Cornish Shrimpers since 1979 with the original boats still being sailed all over the world. 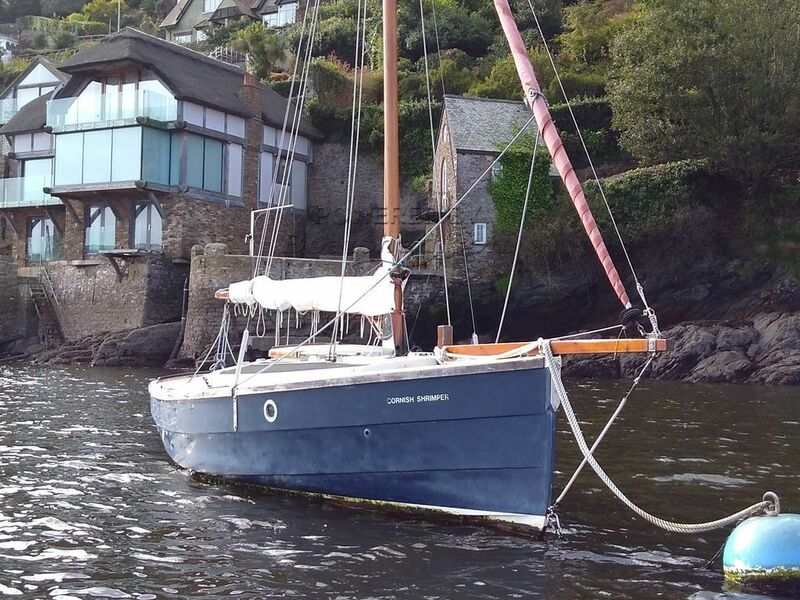 This Cornish Shrimper Mk 1 Inboard Model has been personally photographed and viewed by Jerry Harper of Boatshed Dartmouth. Click here for contact details.